Shawn Green’s career statistics can be found on the backs of baseball cards in shoe boxes across America: 328 home runs, 1,071 RBIs, .282 career batting average, All-Star, Gold Glove, Silver Slugger… But numbers tell only part of the story. 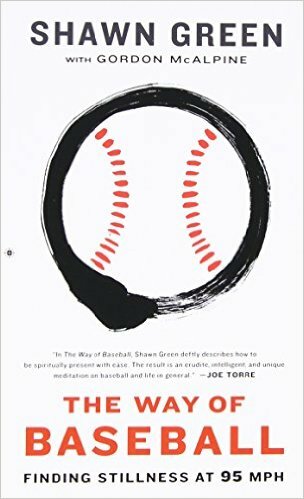 The Way of Baseball illustrates the spiritual practices that enabled him to “bring stillness into the flow of life.” Requiring mastery of perspective and continual management of ego, the game of baseball afforded Green the opportunity to explore his potential as more than just a ballplayer. A treasure of practical wisdom and an intimate look at what it really means to “let go,” The Way of Baseball illuminates the creative possibilities within us all.